We live in a broken and beautiful world, in a potent and precarious time. This is not the moment for us to play small, to dwell in possibility but take no forward action. Now is the time for us to raise our voices louder, to usher our visions into being, and to create spaces for others to do the same. I believe that what we most need now is a groundswell of creativity and collaboration. That need to gather together, in-person, with an intention of community at the core. A craving for tangible connection and face-to-face conversations. The desire to feel deeply heard and in turn to deeply listen? Now is the time for us to circle up. And to encourage others to pull up a chair. 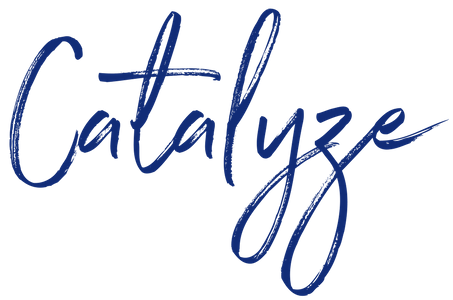 The Catalyst Cohort is a four-month immersion for artists, community-workers, and changemakers ready to step into your capacity as an engaged facilitator and design and lead programs, retreats, and workshops with intention and impact. We need your voice and vision. This Cohort encourages you to heed the call of your heart — providing space for you to show up to your fullest capacity (vulnerable, brave, creative), to galvanize your community, and to craft a program that is a true reflection of your deepest offer. At the end of our journey you will graduate with your own unique curriculum. You will feel confident and ready to lead, welcoming your community into an extraordinary experience that only you can provide. Our Spring-Summer 2019 Cohort begins May 17th. All the Essentials :: Download the PDF :: Free Consult :: Yes! At the end of our four-months you will stand sure and confidently in your skills as a facilitator and guide. Come August, you will have your own unique curriculum complete with creative exercises, ready to teach. You will have a concrete action plan of how to share and promote your new program, as well as clear language framing how you write about and speak about your offer. You will be set and ready for a fall launch of your brand new program!